1950's vintage belt with double button closure. Black leather. Self tab center front with two buttons, brass & self. Hook closure behind tab. 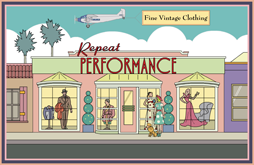 All original 1950's vintage. 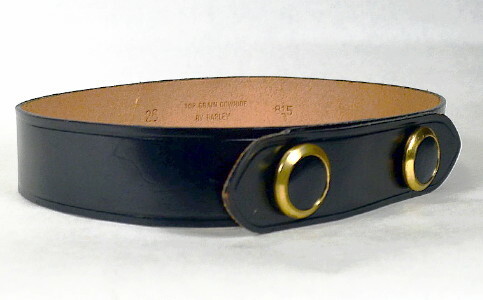 Simple but classic fifties belt. Waist - 26 to 27"
Excellent condition. Shows original imperfections in the leather and tarnish at buttons. Leather is pliable and belt is completely wearable.